Do you know how crucial it is to select the perfect travel bag for you? Before flying it is better to check whether all travel resources properly fit inside your travel bag, luggage or any carry-on bags or not. I entirely believe the selection of any travel bags depends on your travel style, I mean the type of your travel and also travel mode. Women’s travel bags should be stylish and lightweight. Your best travel bags for international travel should be part of your style even on the road. You shouldn’t feel uncomfortable in your entire journey. Neither your bag should be overweighed and oversized nor old fashioned. 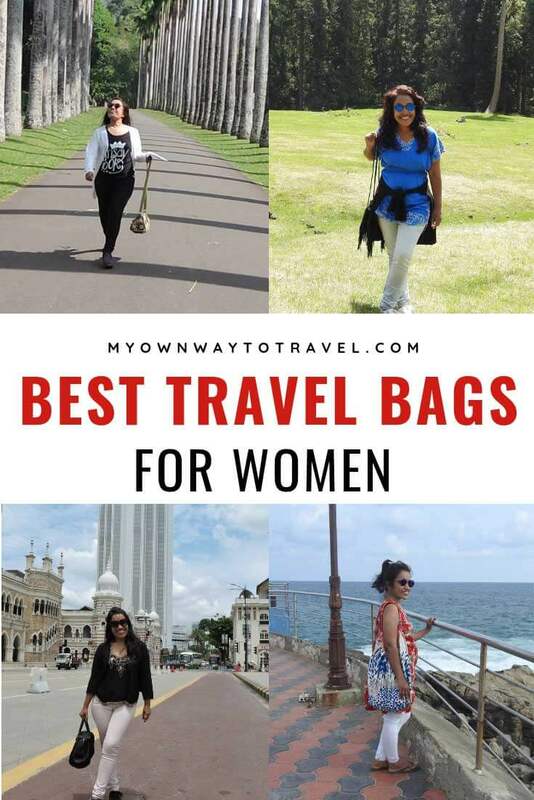 There are some other factors need to consider before choosing, and so I’ve researched a bit and listed some of the best travel bags for women travelers around. You might already come to know my best travel bag choices from the stylish backpacks post. There I mentioned how I enjoy using the same bag for multipurpose. I enjoy traveling light and don’t feel to look like a traveler while moving around during my trip. Mostly I travel with one carry-on bag for carry-on essentials along with my spinner luggage. 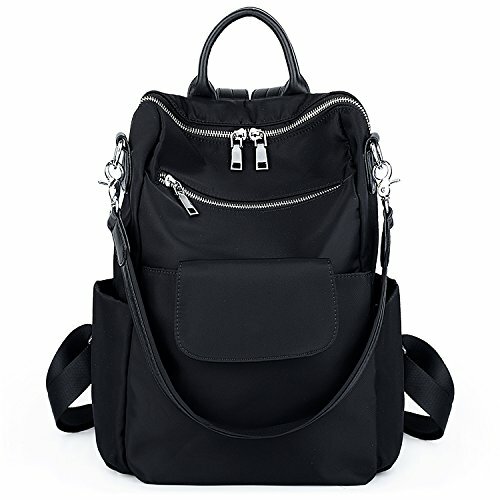 Moreover, sometimes inside the luggage, I do pack one or two small, foldable or lightweight, fashionable backpacks to handbags, which can also be used as a shoulder, messenger or crossbody bags. Yes, I love multifunctional travel bags. 1 How To Select The Best Travel Bags? 4 Click To Save Women’s Best Travel Bags on Pinterest Board! How To Select The Best Travel Bags? Backpackers are comfortable to travel with their backpack in almost every places. In that case, the durability of the backpack matters. Same goes for frequent travelers as well. You might not like to change your suitcase or luggage more often. Those enjoy traveling in style having one smart travel purse is the must. 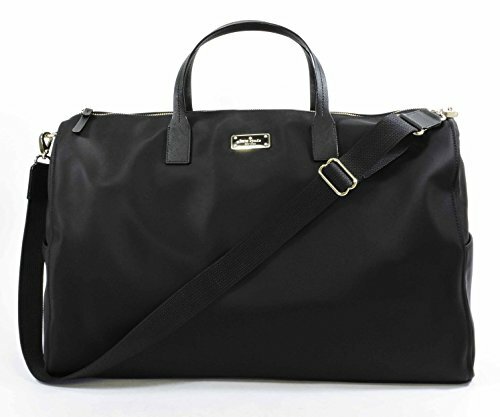 Moreover, business travelers’ best choices are smart duffel bags or any weekender bags for a weekend trip. Also, nothing can beat the boho style tote bags for beachgoers. So, style, weight, size, and durability are the main four factors to be considered while selecting the best travel bags for women. 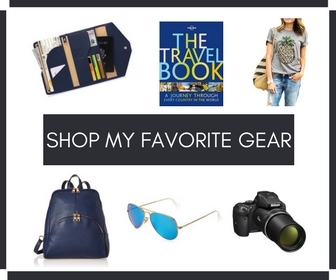 Check out the list below or shop top travel accessories on my Amazon page to get the best one for you or as a travel gift. Moreover, to get a durable and quality travel bag don’t compromise with the budget. Remember your travel bag is the main accessory to pack and protect your other essential travel accessories. Osprey is a reliable brand for travel backpacks. 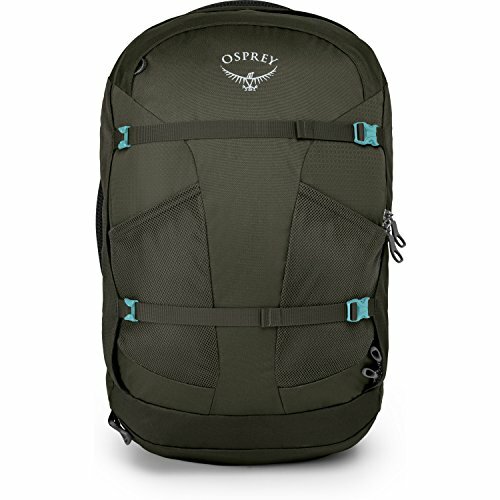 Osprey Packs Fairview 40 is a lightweight best travel backpack for women and perfect as camping and hiking backpack. The Fairview Series backpacks can be the ideal choice for you if you’re more with outdoor activities. It comes with plenty of smart features and offers protection. There are lockable compartments where you can safely keep your laptop and other essential travel gear. It is also available in grey color, small and medium sizes. For any damage, you’ll get repair or replacement in a free of charge from Osprey. UTO Women Backpack Purse is a perfect one as a carry on backpack for a day or 2/3 days trip. There is plenty of room to easily keep your personal belongings to essential travel items and electronic gadgets. Moreover, it is a multifunctional and well-designed carry-on bags for women. It is also available in red and purple colors. It’ll be easy and comfortable to roam around as the weight is just 2.14 pounds. There are separate zipper pockets, shoulder straps along with back straps. The best lightweight carry on luggage Delsey is a reliable brand for frequent travelers. Delsey Luggage Helium aero 25″ is a super durable, flexible and easy to use. It is available in many colors and got two compartments where possible to pack every essential travel item. It offers four double spinner wheels, and so you’ll feel zero weight on your hand. There is also one side handle along with top, and the 25-inch case is expandable up to 2 inches. For a carry on traveler Delsey Helium Titanium 19″ is just the best lightweight luggage for international travel. This spinner luggage is made to fit for almost any international to domestic flights, and also there is a front compartment for a laptop. 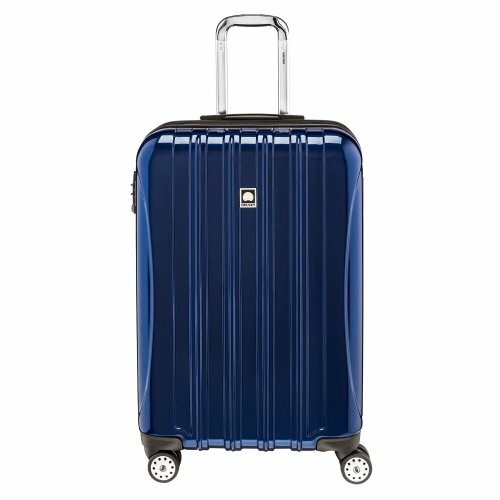 The best spinner luggage Samsonite is a stylish luxury brand and extremely comfortable to use. 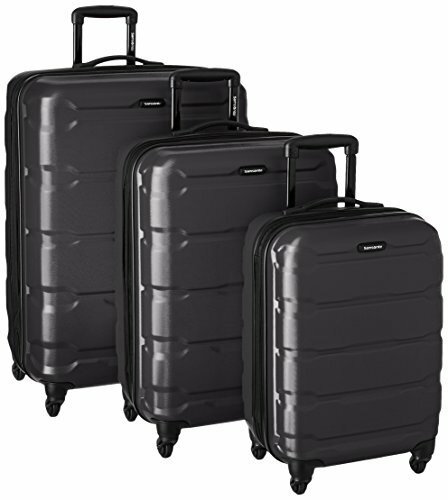 Samsonite Omni PC offers 3 pieces set spinner luggage in three different size and colors. It has 360 spinner wheels, and so you’ll feel super flexible and effortless to use. It is also scratch free and got a push-button handle. It has cross-straps, full-zip divider and also expandable. 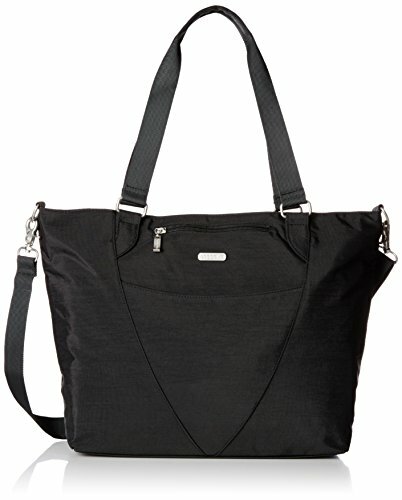 Baggallini Avenue is the best carry on tote for women travelers or just for daily use. It is lightweight and available in various patterns and colors. You can keep your 13-inch laptop inside the zipper pocket. You don’t have to sacrifice style as perfectly goes with any outfit while moving around. There is also plenty of space inside to pack your other travel items. Baggallini travel tote perfectly fits on your rolling suitcase or luggage handle and so possible to enjoy hands-free travel. 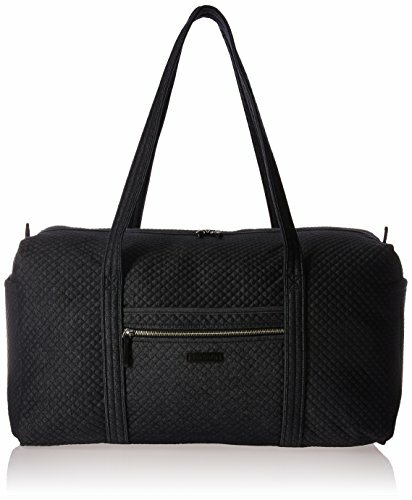 Are you looking for something very delicate and unique best travel totes? 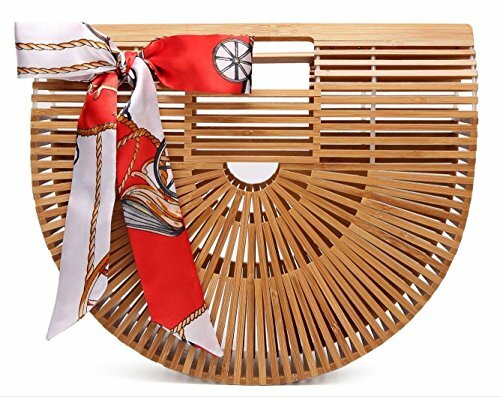 Then Obosoyo Women’s Handmade Bamboo Handbag is the perfect one for you. 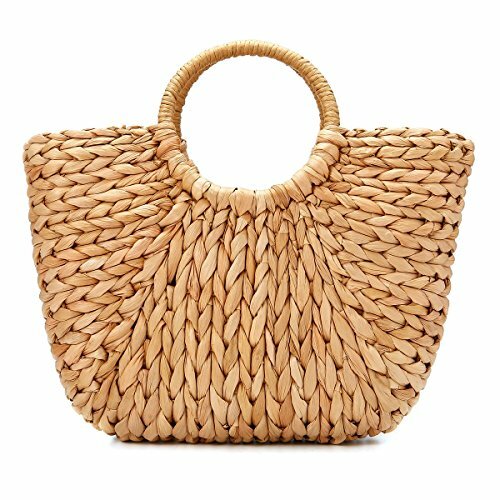 This lightweight, fashionable beach sea tote bag is handmade and available in different colors and small and large sizes. It offers silk scarves with each summer style women’s tote bags. It is better to keep very light items or just cosmetic and cell phone inside this tote. 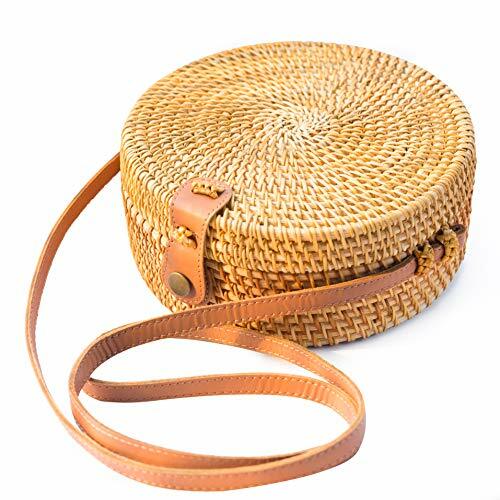 NATURALNEO Handwoven Round Rattan Bag became one of the most popular crossbody purses for women. This durable and chic crossbody bag made in Vietnam from natural rattan fiber and the strap is from vegan leather. I loved to see the making of different eco-friendly basket bags by Vietnamese artisans in one Cai Be handicraft village. There is enough space inside each bag to keep your wallet, sunglasses, cell phone and cosmetic. In almost all local boutiques in Bali, I also found this round 100% handwoven smart travel purse to sell. No worries, if you’ve not visited those destinations yet as possible to order on Amazon. This travel bag an also be a unique gift for girls or women. 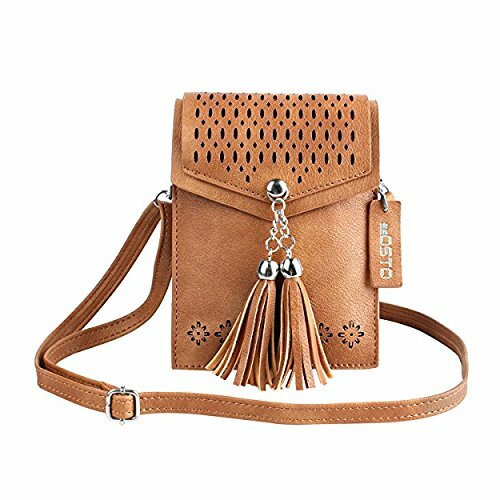 seOSTO Tassel Cell Phone Purse is one of the best crossbody bags for travel and daily use. It is multifunctional and perfect to use as a travel wallet where you can fit your smart cell phone with or without any cover along with lipstick, makeup. This stylish and one of the best small travel bags for ladies is also available in pink, black, white, and beige color and different ranges. Vera Bradley Iconic Large is the best travel duffel bag for a weekend trip. The spacious travel duffels for women is perfect as a lightweight carry on bag if you’re not a big fond to use any luggage. There is plenty of room with many pockets to pack nicely and organize way your every essential travel items. You can enjoy hands-free travel for the dual straps and also available in various patterns and colors. Kate Spade New York Blake Avenue is the best duffle bags for business travelers. You can use it to carry your laptop along with other travel items. 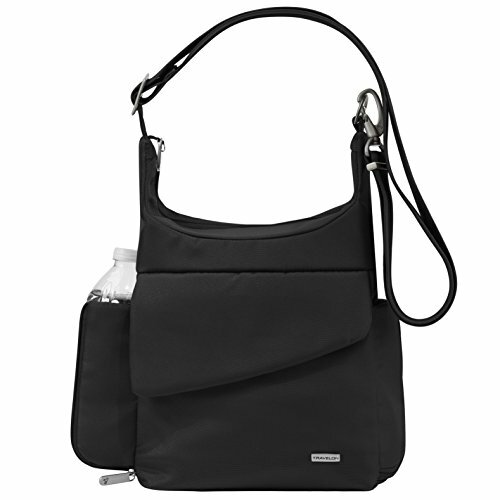 There are slip pockets, zipper, adjustable shoulder strap, and dual handles. It is stylish, and the size perfectly fits underneath of the airplane seat. 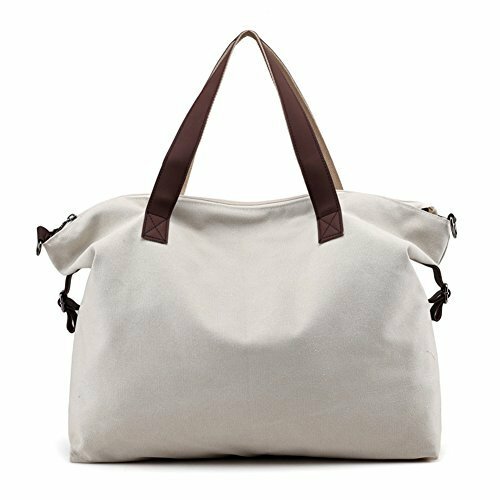 This travel duffle bag can also be used as overnight bags for women. JOYSON Women Handbags is a roomy yet fashionable unique design travel bag. There is one main compartment with many inner pockets and zippers to hold your beauty essentials, cell phone to iPad and laptop. It is made of high-quality PU leather and also available in various colors. This travel handbag is also multifunctional; you can use anywhere or perfect for daily use. LOSMILE Women’s Handbags is a lightweight yet durable and super multifunctional travel bag. You can easily use as a beach tote bag to gym tote bag, sports duffel bag, weekend travel bag, overnight bag. There is plenty of room and also spacious to hold a laptop, iPad, cell phone, clothes to essential other travel items. There is also one removable shoulder strap to use easily as a shoulder and crossbody bag. It is available in various colors. 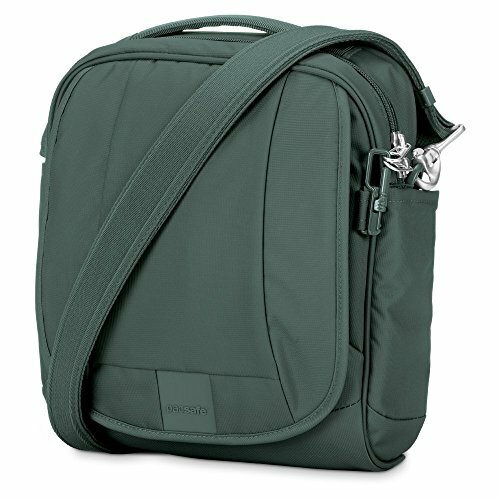 Travelon Anti-Theft Classic Messenger Bag protects your essential travel documents and gear on the road. One of the best anti-theft travel bags for women and available in one size and different colors. There is one main compartment with many pockets and locker zipper where you can also safely hold your camera and credit cards. Pacsafe Metrosafe LS200 Anti-Theft Shoulder Bag is best for women travelers to travel safely with essential belongings. There is enough room with pockets for holding travel gear. RFID-protected pocket and material provide complete protection to passport and credit cards. This smart travel bag is sturdy and also available in various colors. 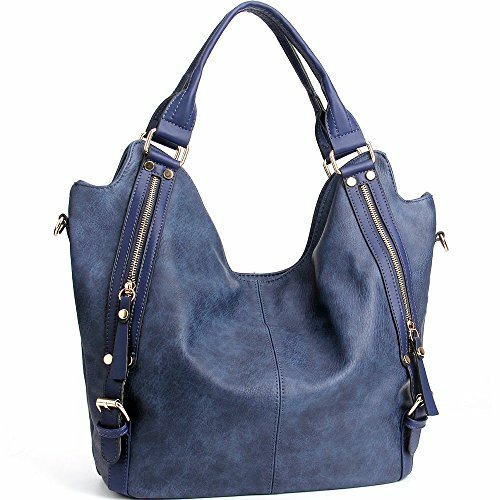 The high-quality WISHESGEM Women Handbags is made of soft PU leather and available in different colors to match different season. 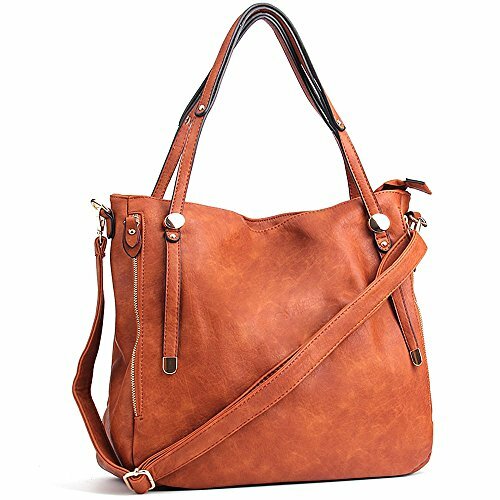 It has a large capacity and just a stylish tote shoulder bags for women to hold essential travel items or daily belongings. In the middle big zipper pocket is there with two big compartments and other small pockets. It is durable and easy to use and maintain. The handle strap is adjustable and removable. 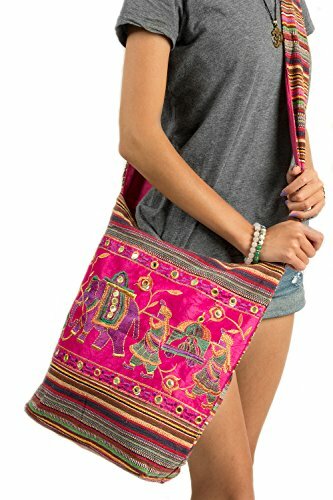 If you like a bit authentic look, then Tribe Azure Fair Trade Pink Shoulder Bag can be the perfect choice to use for travel. It is made by hand using soft cotton fabric. It is roomy enough and super comfortable to use and handle. It is foldable and also available in large and medium size. You can even hold your iPad, small laptop along with cell phone and other travel items. This beautiful hobo bag is also best to use as a tote gypsy beach bag. 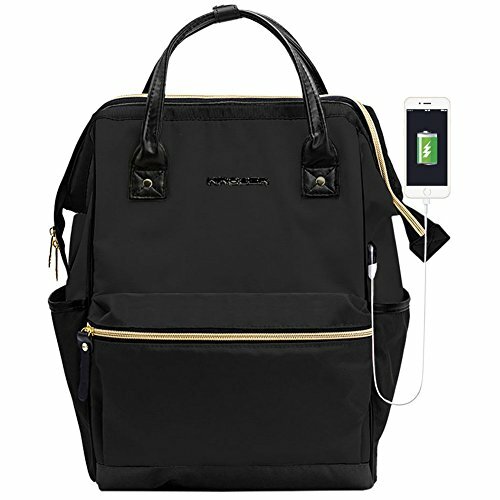 KROSER Laptop Backpack is a multifunctional and stylish laptop bags for travel or daily use. It can hold up to 15.6-inch laptop and roomy enough to pack other essential travel gadgets. It is easy to use and got several functional pockets, and protect from any accidental bumps and scratches. Easy to carry with leather handles and shoulder straps are also there. You don’t have to switch to another bag, just a perfect match for backpackers. 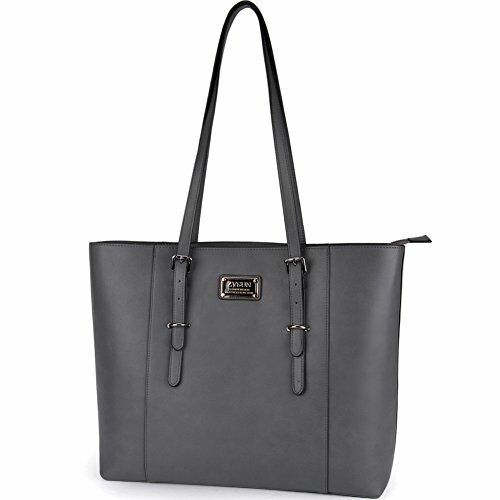 ZYSUN Laptop Tote Bag is multipurpose stylish laptop handbags for women or business travelers. This professional look laptop bag is roomy where you can ideally keep your other belongings. It has many compartments, and multi pockets and perfectly fits underneath of the airplane seat. It is suitable to carry this bag for daily use or even on holidays. This versatile travel bag for women is also available in various colors. Various unique designed straw bags became a trend these days. 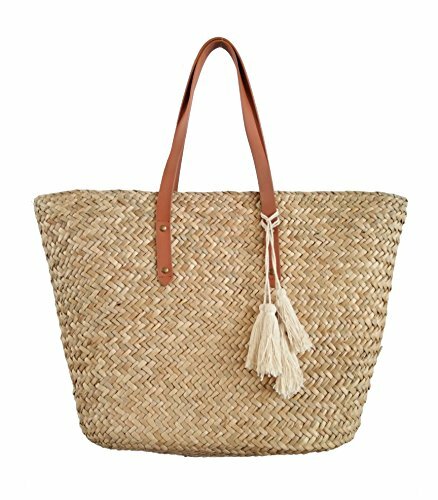 JOSEKO Women Straw Handbag is perfect to use for travel or any occasion. It looks cute and stylish and also can be used as a summer beach bag or top handle purse. It has one main compartment to hold your daily items like cell phone, cosmetic, sunglasses, and wallet. You can buy either a large or small size of this travel bag. Click To Save Women’s Best Travel Bags on Pinterest Board! Do you like to carry stylish travel bags? 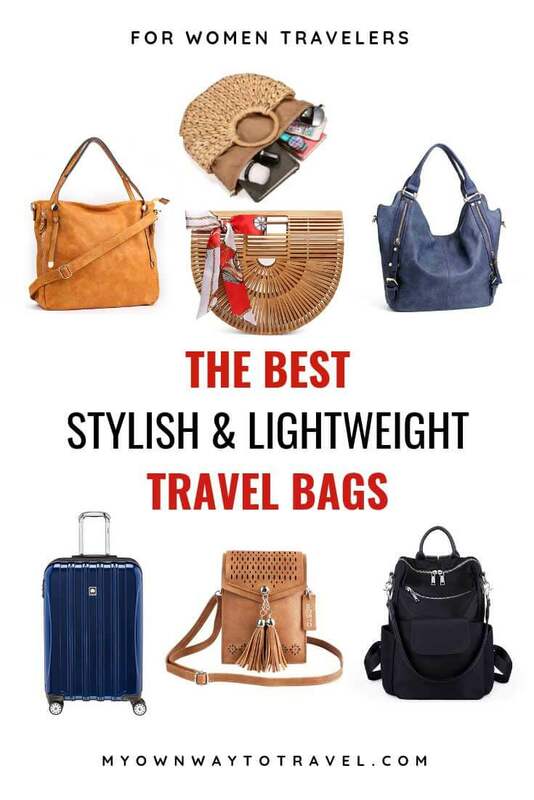 Tell me your pick from the listed best travel bags for women or share your particular choice. If this is not the most comprehensive blog post about Bags, then I don’t know what is. I simply love it. I needed some suggestions for bags for international travel so this is perfect! Excellent article and perfect timing for me. I have been looking for a backpack, laptop. Something I can go handsfree with but still have my laptop on hand. Thank you for all the info! Thank you Karletta! I’m sure you’re going to get the perfect one for you soon. I love how all encompassing this post is! There is truly a bag for every occasion and very type of trip. I may have to invest in some more! Great to know, thank you Katie! You’ve certainly done your travel bag homework lol. Totally agree with your Osprey bag choice, best bag I’ve ever bought. But love your tote bags choices, I’m looking into getting one for my next trip! Yes, there are many cute tote collections on Amazon. Looking for me one too! So it’s time for me to look for a replacement even if I don’t want to and keep postponing it! From your choices Obosoyo is my favourite one! Nafisa, you are doing a great job and your contents are genuinely informative for the travelers looking for the kit. I am impressed. I could not have read this article at a better time! I am in the process of getting all new luggage for my upcoming trip and your advice and reviews were really helpful. Thank you! Thank you for the great suggestions! I love the cell phone cross-body, and the waterproof laptob bag with USB! I will be checking those out before my next trip! Great selection! The travel bag is a tricky one to nail as comfort, durability, security and something that looks nice are so difficult to find in one product 🙂 I’ll definitely look into some of your suggestions. I’ve always been a sucker for a good bag! Thanks for giving me a few new ones to try & look out for! My husband lovingly calls me the “bag lady” because I have bags for every occasion. This is s hreat resource.